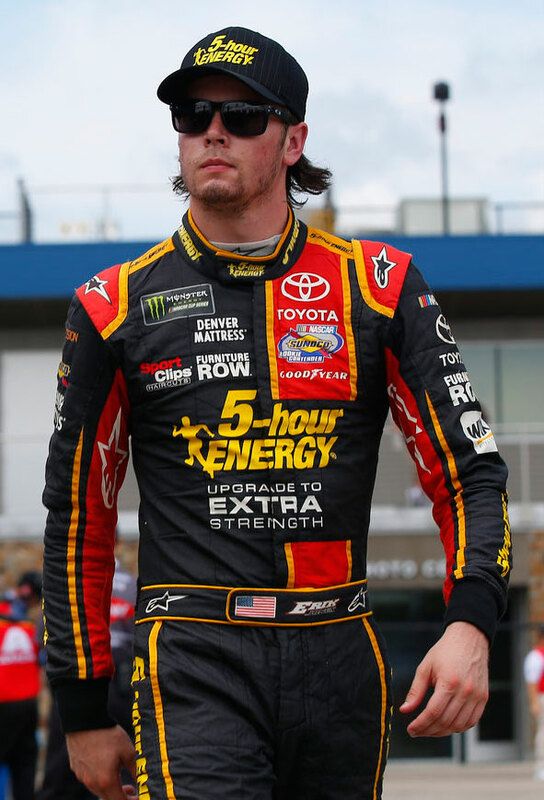 Erik Jones dreams big. He’s on a quest for more than just glory on track, but in life as well, aspiring to own businesses in addition to trophies. He has the drive to set big goals and the skills and savvy to chase them down, no matter what or who is in the way. Erik has been fortunate to live some of his dreams already, but with that, comes great responsibility. He moved out on his own at 16, bought a condo, started paying bills, making investments, toying with hobbies and making life-altering decisions. However, he understands he’s limited on “real world” experience and leans on those close to him for insight when needed. Part of recognizing your limits is understanding how the past plays a role in your life. He’s read dozens of athlete autobiographies, especially the ones scribed by the ‘bad boys,’ picking up clues on how to keep himself on the right path. Jones is hungry to learn about America’s past, sports events and athletes of yesteryear, as well as his own ancestry. Though Erik’s destination is still to be determined, it’s clear that he’s got a long road ahead of him. He’ll find a way around traffic or speed bumps, so wherever he’s going, he’ll get there fast, while having some fun along the way. One accomplishment Erik can put down in his book is NASCAR ‘Rookie of the Year’ honors. However, Erik not only dreams big . . . . he does big. In 2015, he became the youngest NASCAR Camping World Truck Series (#NCWTS) Champion at 19 years, 5 months and 21 days while also collecting 'Rookie of the Year' honors. He finished the NCWTS season with three wins, five poles, 11 top-five finishes and 20 top-10 finishes. The next year, Erik lifted the 2016 NASCAR Xfinity (#NXS) 'Rookie of the Year' trophy high above his head. 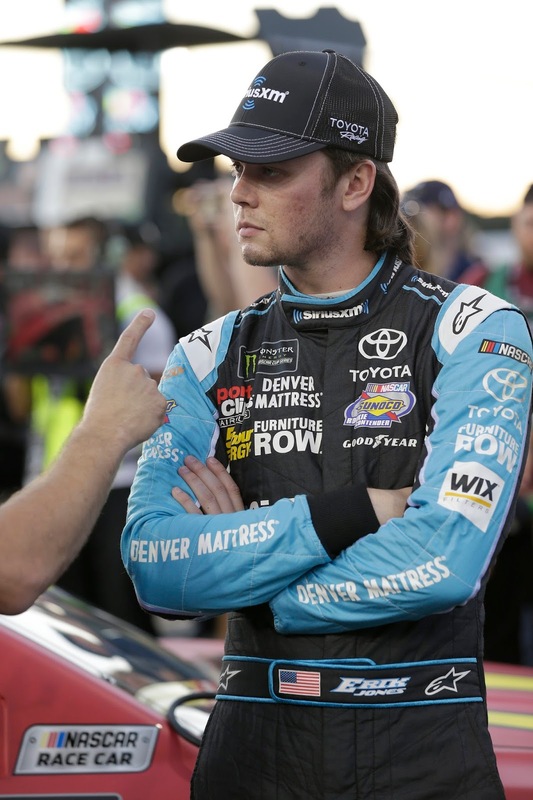 He finished fourth in the season point standings with victories at Bristol Motor Speedway (April 16 from pole), Dover International Speedway (May 14), Iowa Speedway (June 30), and Chicagoland Speedway (Sept. 17). For the trifecta, the 2017 Monster Energy NASCAR Cup Series (#MENCS) 'Rookie of the Year' was, you guessed, Erik Jones. With 310 points Jones beat out Daniel Suarez (296); Ty Dillon (229); and Gray Gaulding (193). He earned five top-five and fourteen top-ten finishes. His best finish was on August 19, 2017 when he crossed the start/finish line in second place at Bristol Motor Speedway. 2018 will find Jones in the Joe Gibb’s Racing #20 race car full-time. The boy is fast . . . with a bit more patience and strategy, 2018 could prove to be breakout. Who thinks he will make the chase?